Slow Cooker Beef and Broccoli is the perfect weeknight meal! 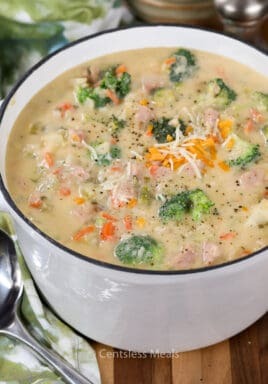 Ditch the takeout and make this easy dish in your Crock Pot for a weeknight meal so flavorful, everyone will beg for more!! Tender beef and perfectly cooked broccoli are slow cooked in a beautiful asian-style sauce to create a simple yet well rounded dinner option. 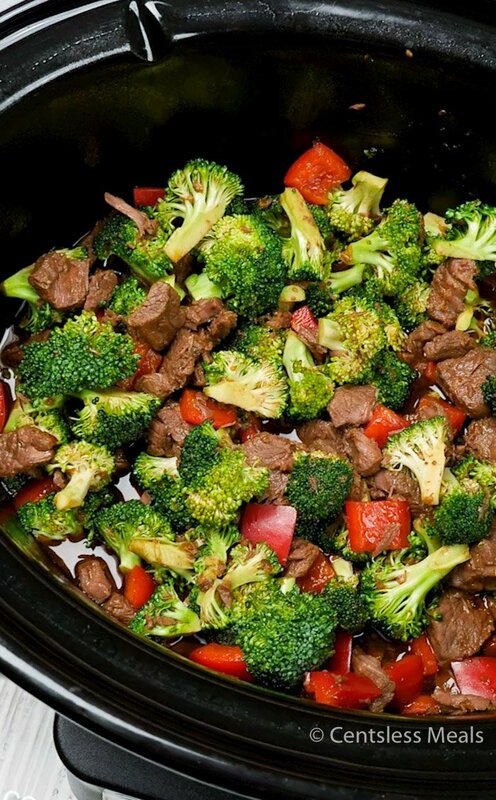 I love Chinese food, and beef and broccoli is definitely a Chinese food staple. During the week, Chinese takeout can be an easy option, but not exactly a healthy one. 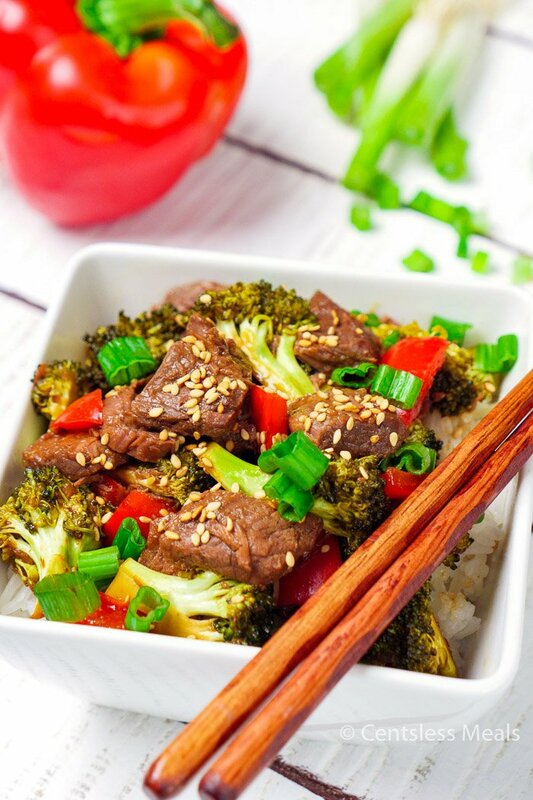 Making this beef and broccoli will give you the asian-inspired flavors you love without worrying about the health factor or price of takeout, all with the ease of a slow cooker! Normally, beef stir frys like these are prepared in a wok. Being able to adapt this recipe to be made in a slow cooker made it so much easier to achieve the same results for the dish! If I am entertaining a few people, I love pairing this beef and broccoli dish with these Asian beef skewers! Having several share plates is one fun aspect of enjoying an asian-inspired meal! 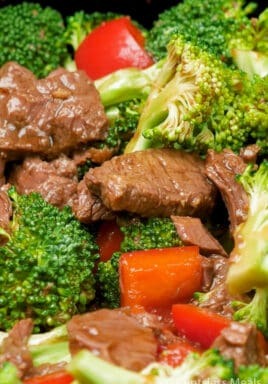 This beef and broccoli reheats well so if you’re lucky enough to have leftovers it can be served for school lunches, work lunches, or a quick midnight snack! It keeps very well in the fridge and can be reheated easily to enjoy the next few days. If you aren’t going to eat it within 3 days, you can freeze it for up to 3 months! 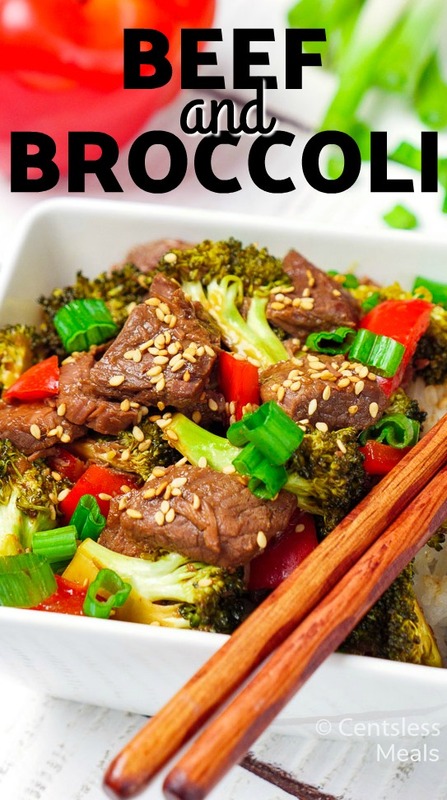 Beef and broccoli is an asian-inspired dish made with thinly sliced beef that is stir fried or cooked with broccoli, garlic, ginger, and onion. 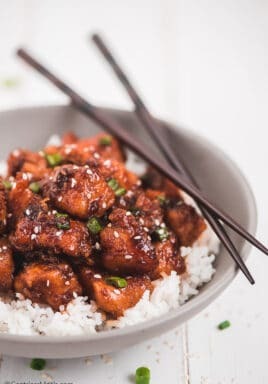 It is cooked in a flavorful ginger, sesame, brown sugar sauce and usually best served over rice. Slow cooker beef and broccoli comes out unbelievably tender because the beef cooks in the sauce for a longer period, which really breaks down and tenderize the meat. Some people find that tenderizing their beef before cooking it can really help with the overall texture of beef and broccoli, but because we are making this in a slow cooker, we don’t need to worry about it! This recipe is crazy easy to make, you’ll start with the sauce and the beef allowing it to cook low and slow creating a tender dish! 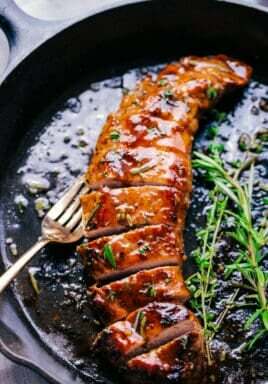 This allows the meat to break down and become melt in your mouth tender. This recipe uses fresh broccoli which has a crunch, it’s added in the last 20 minutes to keep it from getting mushy. If you happen to have only frozen broccoli, it’s already soft so I’d suggest cooking it separately and then stirring it in just before serving. A bonus: it’s low carb! To keep your whole meal low carb, try serving it with a side of cauliflower fried rice! 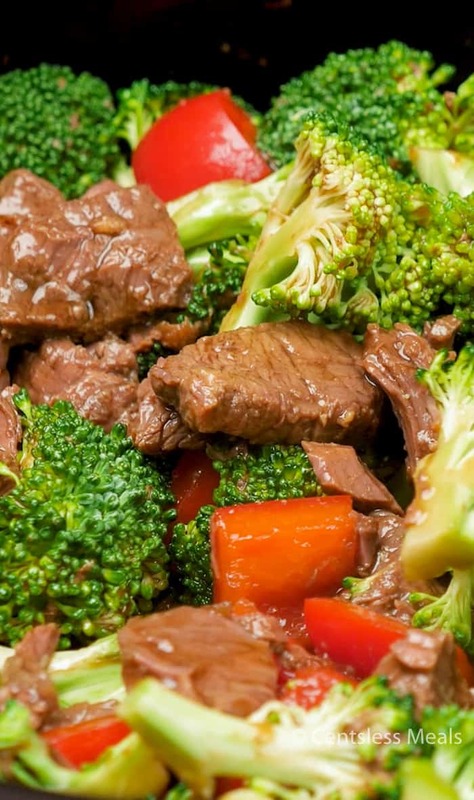 Beef and broccoli when ordered out can be filled with unhealthy additives like MSG, or sodium. Making it at home is definitely better on the body, and wallet! Combine 2-3 tablespoons water and cornstarch in a small bowl. Stir into the slow cooker. Add broccoli and red pepper. Cook on high 20-30 minutes just until thickened. However you decide to serve it, this slow cooker beef and broccoli will quickly become a staple in your household. Once you see how easy and flavorful it is, you will find yourself making it all of the time! I could probably sit down and eat this entire dish in a sitting, it’s so good!